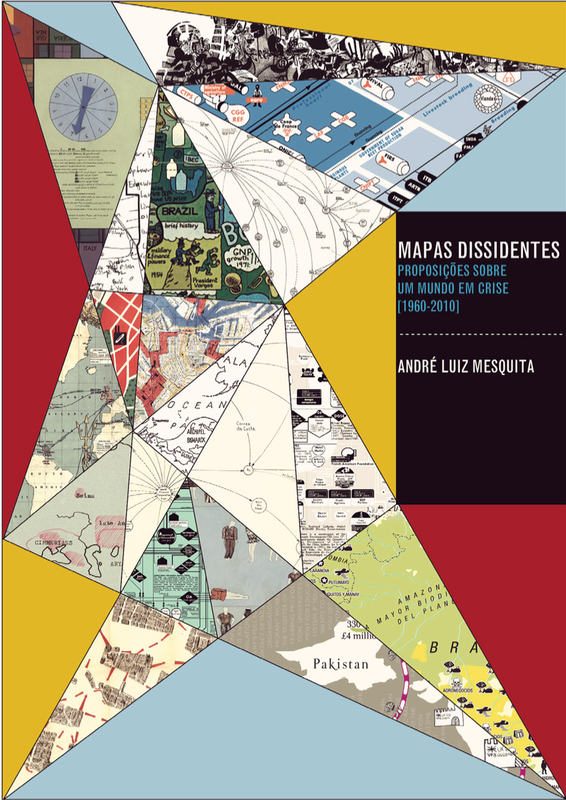 André Luiz Mesquita’s dissertation (in Portuguese), Mapas Dissidentes: Proposições Sobre um Mundo em Crise (1960-2010), (Dissenting Maps: Propositions on a World in Crisis, 1960-2010), looks at the maps and diagrams of artists and activists from 1960 to 2010, all working in social, political, and economic contexts of crisis and change, conflict and various forms of resistance. He approaches the work of three generations of artists through an analysis of endless documents, catalogs, manifestos, articles, photographs, documentaries, art works, reproductions of maps, and interviews. Mesquita begins by examining the games and maps created in the 1960s and ’70s by the Swedish-Brazilian artist, Öyvind Fahlström (1928-1976), made under the geopolitical tensions of the Cold War (1947-1991) and the structural and organizational changes in global capitalism of the 1970s. 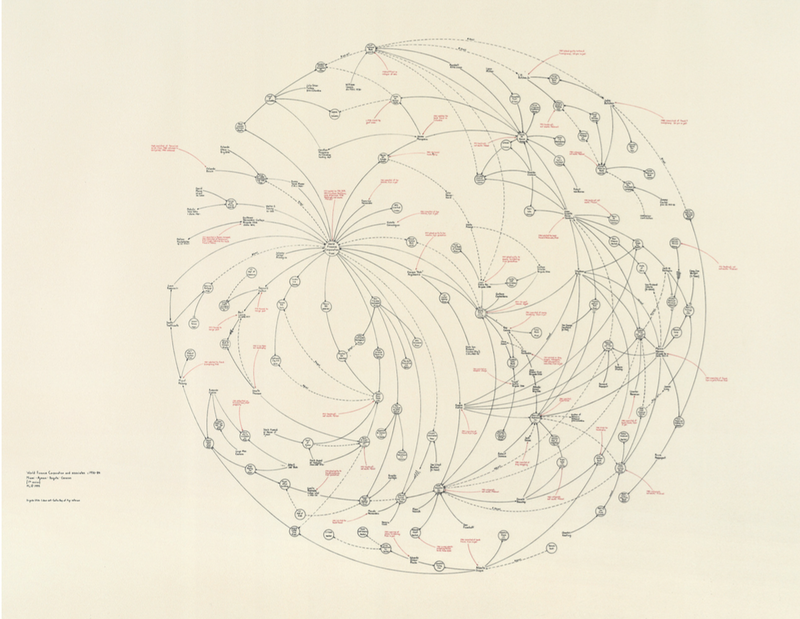 He then turns to the work of the American artist, Mark Lombardi (1951-2000), who, in the 1990s, mapped international power networks and obscure financial transactions involving banks, governments, and neoliberal elites. Finally Mesquita addresses the counter-cartography practices developed between the 1990s and 2010’s by three activist art collectives: Bureau d’Études (France), the Counter-Cartographies Collective (United States), and Iconoclasistas (Argentina). Based on the interrelations between contemporary art, political activism, and critical cartography, Mesquita holds that the work of these activists-artists has created a significant opposition to the “neutral and objective” maps made in the interests of corporate, governmental, and military bodies. What’s really exciting is the mining Mesquita has done, coming up with a range of map work that will surprise the causal observer of, say, Fahlström (in particular); but also the way he attaches all this work to that of antecedents (like the Surrealists and the Situationists) and parallels (as in the work of Trevor Paglen). This is an important piece of work. Mesquita is currently working on a translation to English. 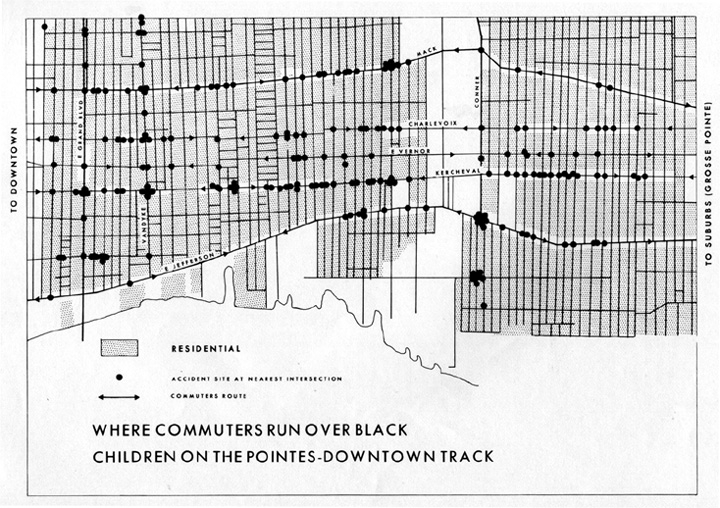 When Bill Bunge mapped out the locations of car/pedestrian collisions in Detroit (Detroit Geographical Expedition, 1968) he and the map were advocating a way of thinking about what was happening to the black community in Detroit – and advocating for change. What map does not advocate, or argue for something? We are always calling maps to our aid. Three free books on maps and advocacy have been made available for download recently, and are worth a look. Good Practices in Participatory Mapping (2mb PDF here, 2009). Published by International Fund for Agricultural Development. A review of participatory mapping methods. Section 4 will identify good practices and explore the significance of process in participatory mapping initiatives. 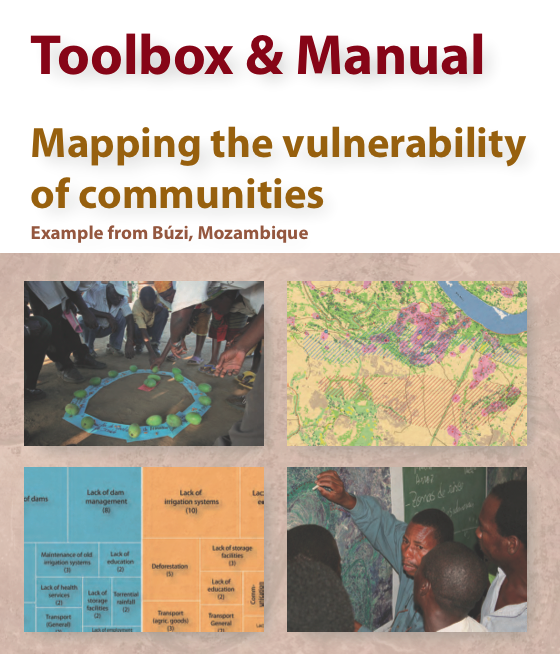 Toolbox & Manual: Mapping the Vulnerability of Communities (4.4mb PDF English version here, Portuguese version aqui, 2008). Published by Salzburg University Centre for Geoinformatics. A overview of concepts and methods for community mapping, focused on vulnerability. Within the research and project context it is aimed to provide the local communities with appropriate maps of their communities. The maps should enhance planning and decision making processes within the communities in regard to reduce local vulnerabilities and allow appropriate planning of disaster response measures. It is the first time in Mozambique that maps have been produced with such an accuracy (high resolution data) and for disaster risk management through the integration of participatory practices. 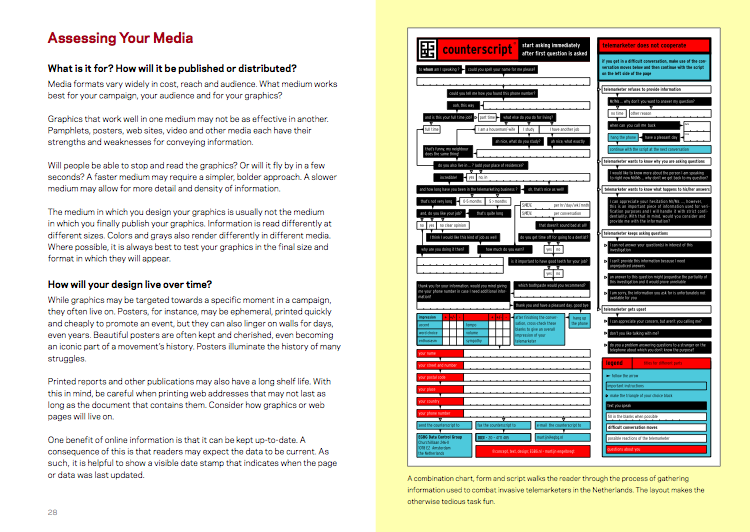 Visualizing Information for Advocacy: an Introduction to Information Design (7mb PDF here, January 2008). Published by Tactical Technology Collective. Succinct, well-designed, with many good examples of maps and information graphics for advocacy. …a manual aimed at helping NGOs and advocates strengthen their campaigns and projects through communicating vital information with greater impact. This project aims to raise awareness, introduce concepts, and promote good practice in information design – a powerful tool for advocacy, outreach, research, organization and education. Maps for Advocacy: An Introduction to Geographic Mapping Techniques (3mb PDF here, September 2008). Published by Tactical Technology Collective. A great overview of maps and advocacy with many examples and resources. The booklet is an effective guide to using maps in advocacy. The mapping process for advocacy is explained vividly through case studies, descriptions of procedures and methods, a review of data sources as well as a glossary of mapping terminology. 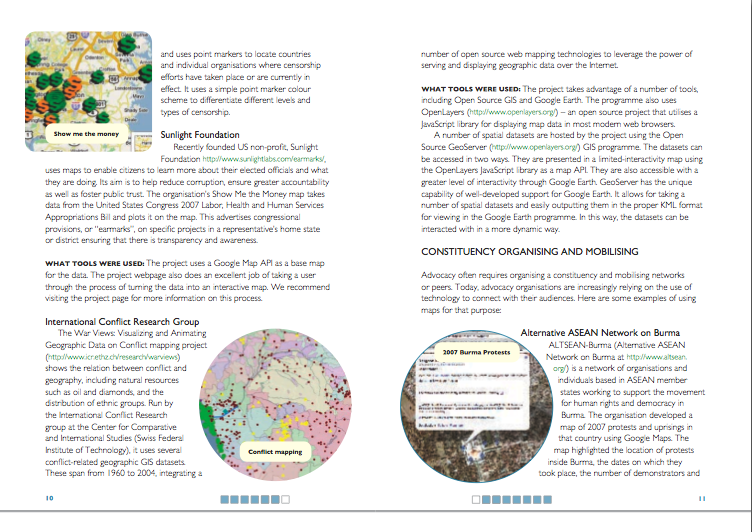 Scattered through the booklet are links to websites which afford a glance at a few prolific mapping efforts. 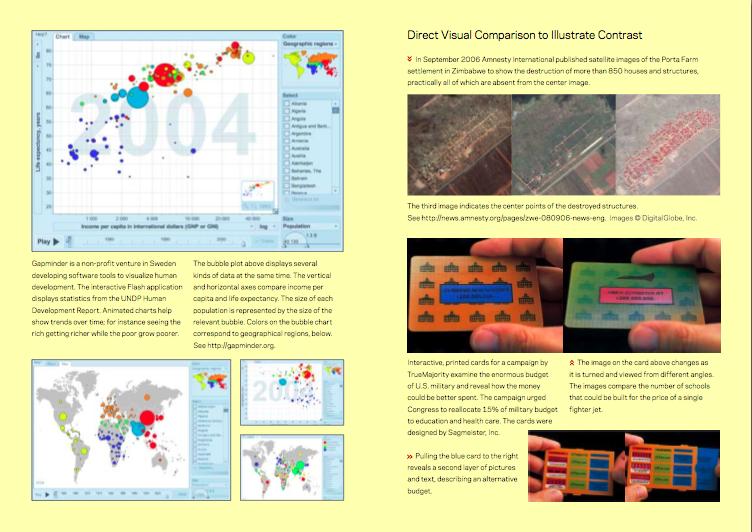 Field Guide for Humanitarian Mapping (3.2mb PDF here, March 2009). Published by MapAction. A textbook for using maps and GIS in humanitarian work. 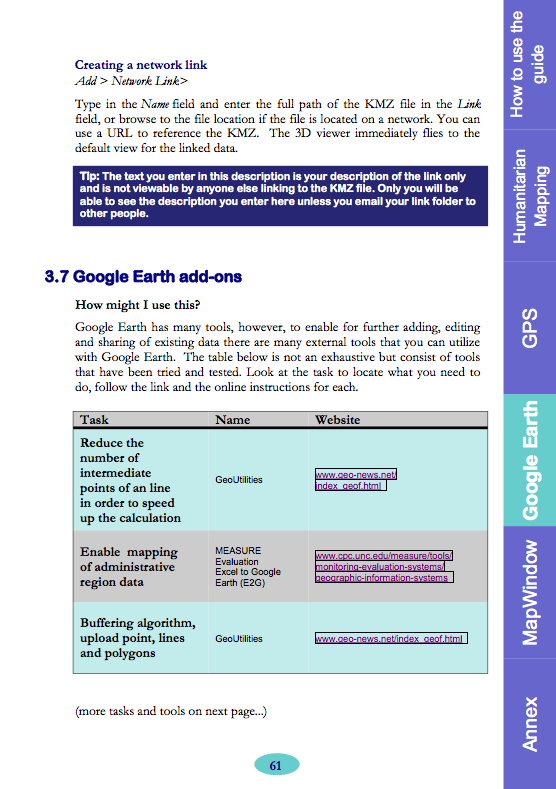 The Guide provides detailed information on data collection (GPS) and the use of Google Earth and MapWindow (free mapping software). The guide was written to meet the need for practical, step-by-step advice for aid workers who wish to use free and open-source resources to produce maps both at field and headquarters levels. The first edition contains an introduction to the topic of GIS, followed by chapters focused on the use of two recommended free software tools: Google Earth, and MapWindow. However much of the guidance is also relevant for users of other software. the Tutor/Mentor Collection’s GIS and Mapping Resources Page. slides & text from Erik Hersman’s Activist Mapping presentation at Where 2.0.
the Atlas of Radical Cartography. 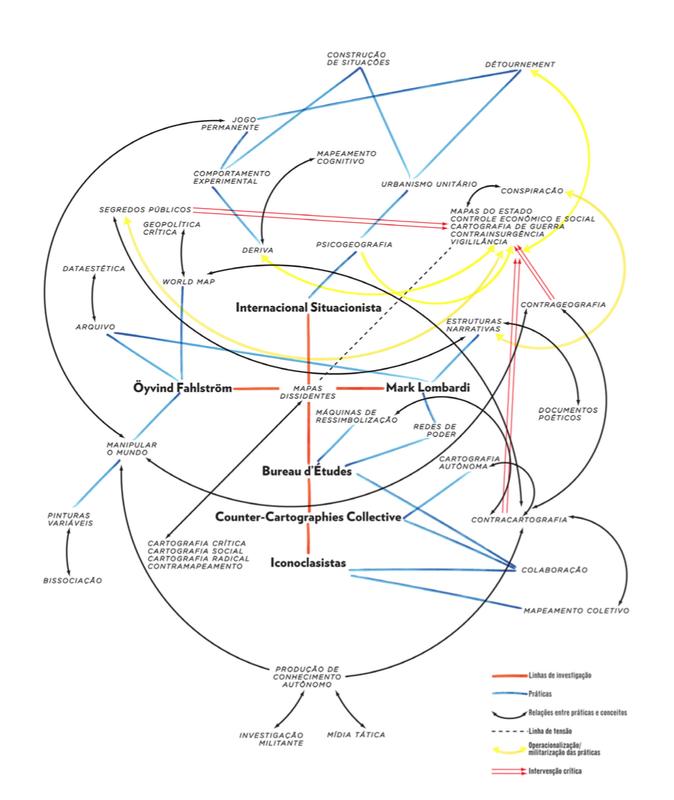 Counter-Cartographies Collective & 3C’s Blog. “Protest Maps” (292k PDF) by Denis Wood & John Krygier (2009). 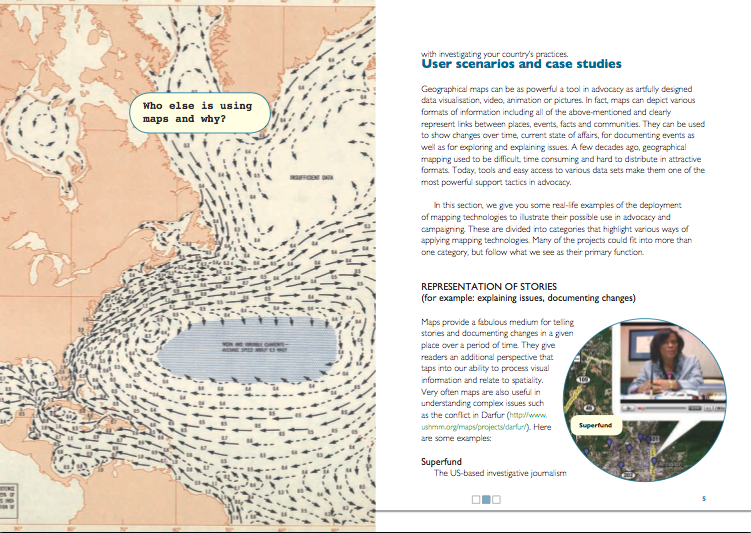 Mapping: A Critical Introduction to Cartography & GIS by Jeremy Crampton (2009). 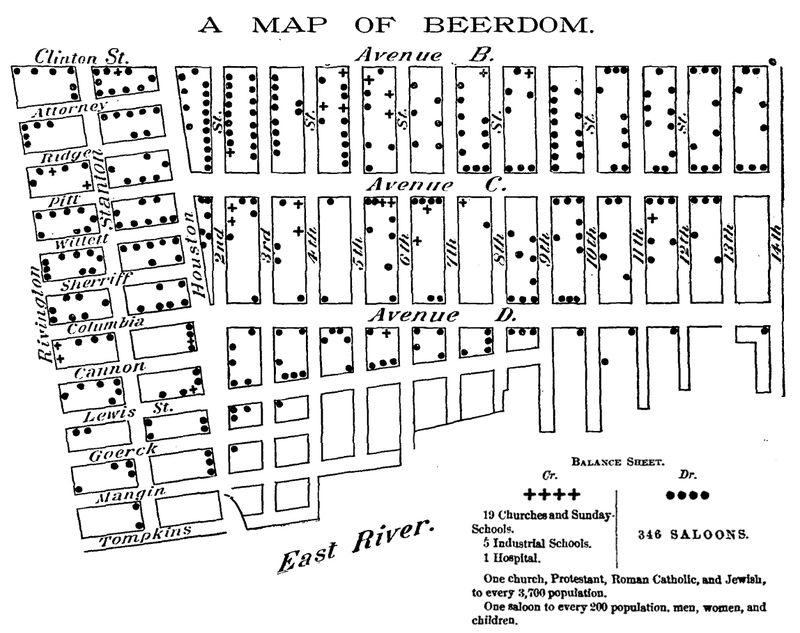 The above map represents one ward of New York City – the Eleventh. The saloons as put upon this map were ascertained by the reporter of the Christian Union by actual count. The saloons are largely beer saloons: for the base of the population is German, and a large intermingling of German sounds, German signs, German wares, and German smells generally, prevail. Pretty much all the available space, after enough room has been taken out for houses and grown people and huckster’s stands, is filled by stout, chubby, healthy-looking children – with here and there a punier waif – of all ages and sizes, mostly young and small, and of all degrees of cleanliness, from comparatively clean to superlatively dirty. The Ward is reported by the police to be as orderly as any in the city. The German is peculiar. Unlike his Irish and Yankee cousins, he does not make a great noise and hurrah over his cups, and wind up with a street brawl. He gathers unto himself a few kindred spirits, and together they wend their way to the Trink-Halle, where, in a little back room, with closed doors and drawn curtains, they guzzle beer together till none of them can see. In the morning they come out with queer-looking eyes, but there has been no disturbance in the place. Said a clergyman to your reporter, “I came into the ward expecting to find nothing but filth and vice. But I could take you into hundreds of homes where you would find ease and comfort and even culture. One saloon to every 200 population. Christian Union, February 19, 1885. 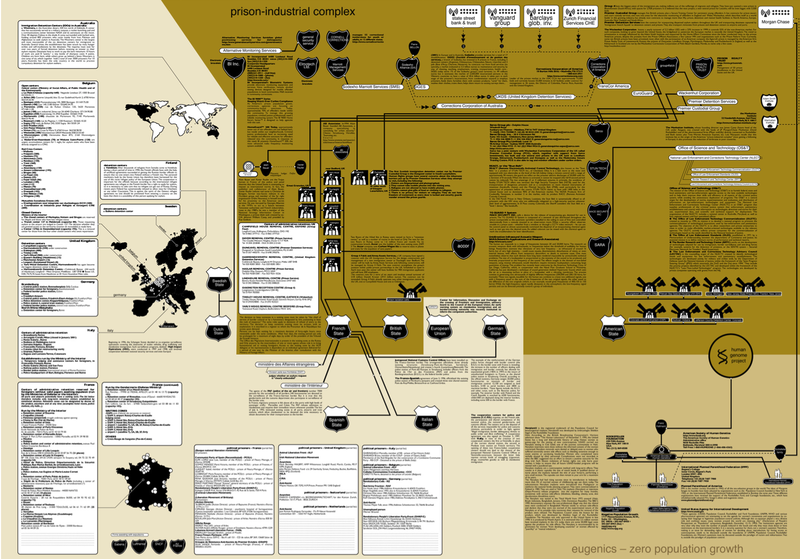 PDF of entire article and map is here.